Today was a beautiful day so we took Sophie (our labrador retriever puppy) for a walk at lunchtime. At 5 months Sophie is getting very big but is going through a shy phase so we are making sure we get her to many places and expose her to many sights and sounds. 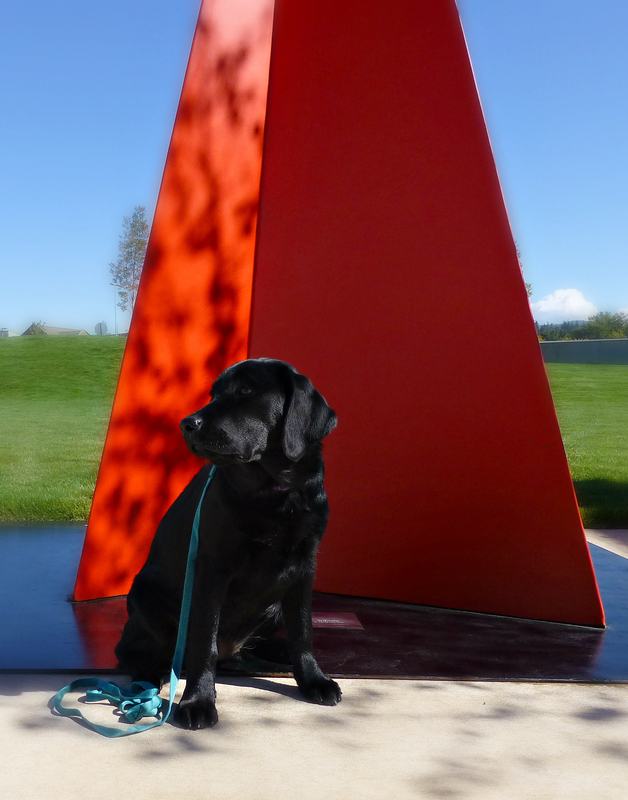 The big sculptures at the Barkley Woods Coffee were a great place to visit and let her sniff around and greet people. She even got half a sandwich from a friendly person. Sophie is thinking this is a pretty good day. If you want to read more about the sculptures by Mexican artist Sebastian please visit the Bellingham Herald’s article.